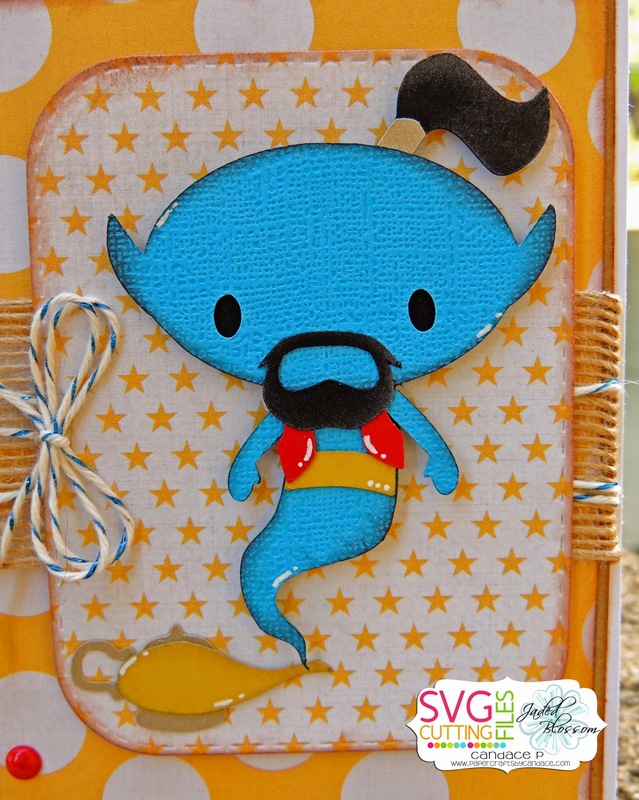 Paper Crafts by Candace: Genie from Aladdin! Hi Everyone! 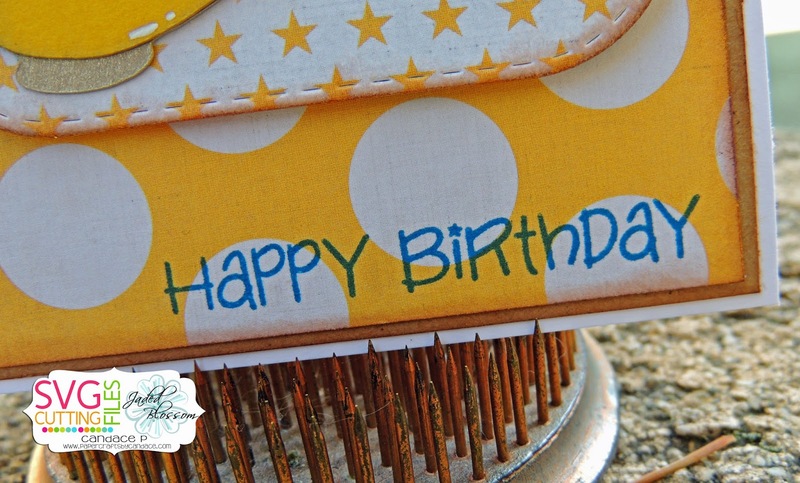 Its my day over at SVG Cutting Files!! I LOVE LOVE LOVE this new file coming out Friday! Genie is AWESOME!! Here is a close up. He is mounted on the Journal Die from Jaded Blossom. The sentiment is from Jaded Blossoms So Many Birthdays. 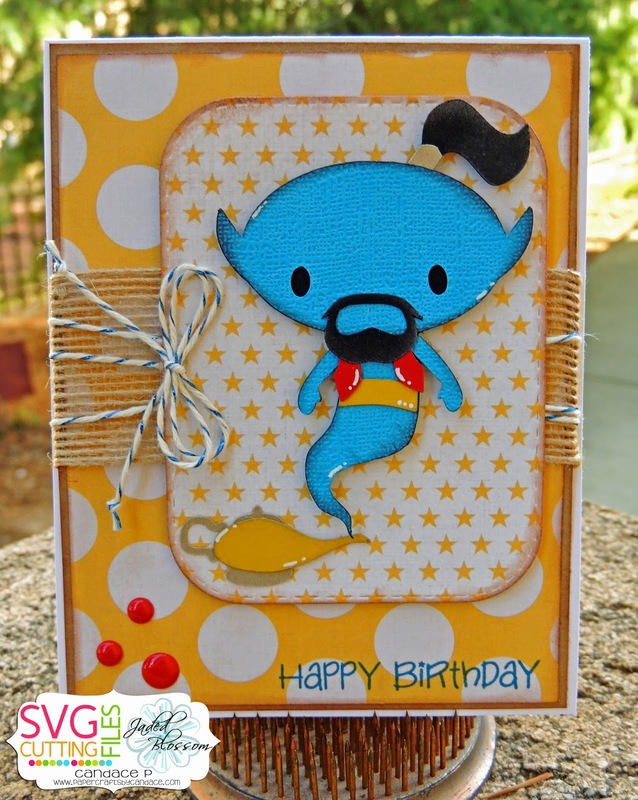 great job on the card, Aladdin was my son's favorite movie...nicely done.. He's so cute! Just needs a lamp to come out of.